Why medical kit and knowledge of how to use it is important? I'd like to take a minute to talk about an issue. It's an issue that is slowly picking up steam, but still hasn't reached as far as it needs to. That issue is medical knowledge and equipment. Over the last decade, the responsibly armed community has grown. And it's grown rapidly. These armed citizens have embraced training for their firearms. This passion for knowledge, coupled with a wealth of battle-experienced instructors has resulted in some of the best educated shooters in history. But sometimes, your gun and the knowledge to operate it isn't all that is needed. Sometimes, your gun just isn't the most useful thing to have at the moment. That may not be terribly reassuring, but it's a harsh fact. On the other hand, having a medical kit, even a small one, and the knowledge of how to use it and improvise could end up being lifesaving. Active shooter or terrorist incidents capture the public's imagination right now. The usefulness of medical gear during the Las Vegas shooting or the Boston bombing is self-evident. Improvised tourniquets and bandages saved lives. But medical training offers benefits far beyond defensive scenarios. Medical training benefits you during natural disasters, allowing you to triage and treat injured neighbors after a hurricane or tornado. Medical training can even benefit you after a car accident or an injury at home. Medical training is readily available. Basic first aid courses are offered by the American Red Cross, among others, and classes on hemorrhage control can be found here (https://cms.bleedingcontrol.org/class/search) as well as from a number of reputable training companies. You may even be able to get free training through your local Community Emergency Response Team. Medical equipment is also readily available from many big-name manufacturers. 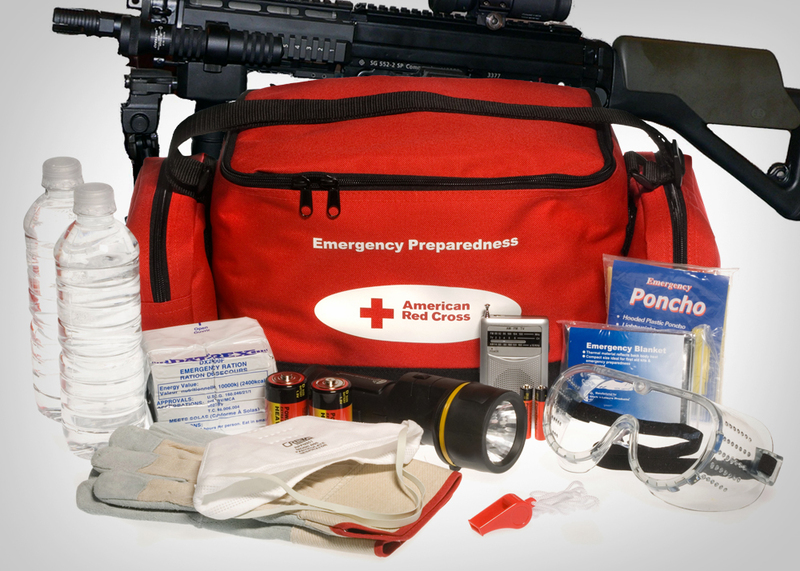 Rainier currently carries gear from DARK and Eleven 10 here (https://www.rainierarms.com/accessories/swag/first-aid/). I highly recommend you attend a course in hemorrhage control before purchasing a kit. Kits are pricey, and having been through the class can help you determine your needs before you drop money on a kit that may not meet them. If you can't afford a full kit, at least pick up a tourniquet and holder until you can. Please keep in mind that I'm not discouraging the carrying of a gun in any way. I'm simply trying to encourage people to think outside purely firearm training. When you sit down next year to plan your defensive training budget, please don't forget to look at medical training and equipment as well. It may save your life or someone else's.